COMSOL Multiphysics® version 5.4 introduces COMSOL Compiler™. This new product allows you to create standalone applications that anyone can run, without a license file requirement. Read more about the capabilities and features of COMSOL Compiler™ below. By using COMSOL Compiler™, applications created with the Application Builder in COMSOL Multiphysics® can be compiled to standalone applications for the Windows® and Linux® operating systems and macOS. Such compiled applications can then be provided to any user and run with no license file requirement. 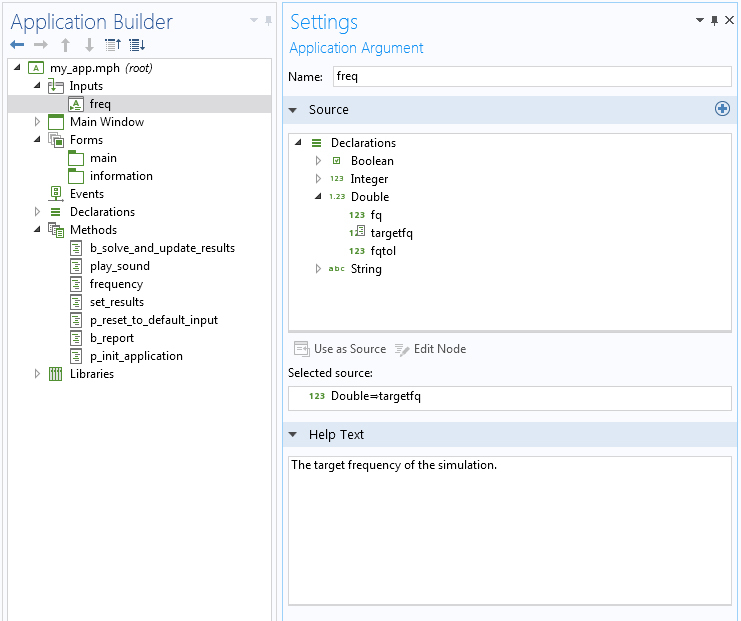 Compiling an application is as simple as a click in the Application Builder user interface. 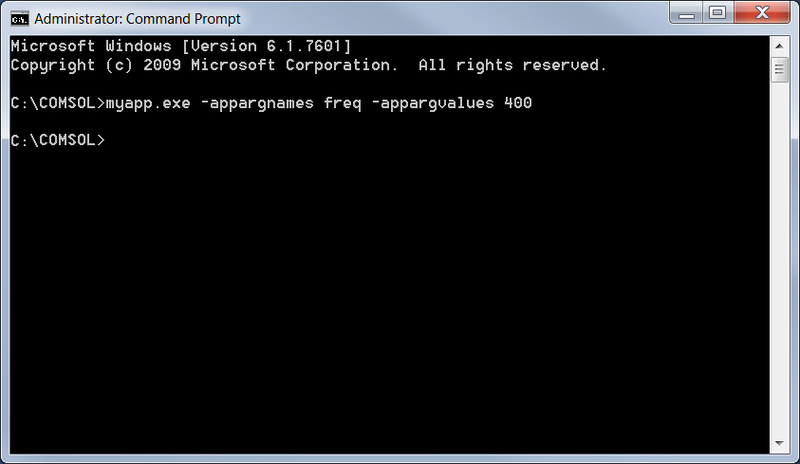 You can customize a compiled application with its own icon and splash screen. 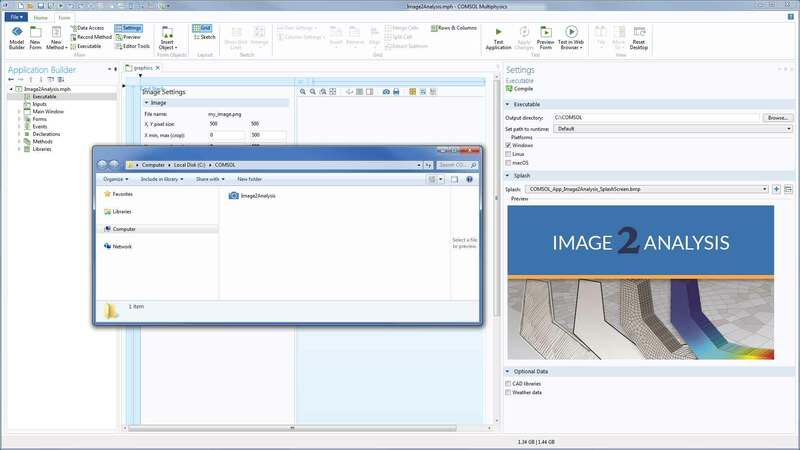 The Application Builder is included in the Windows® version of COMSOL Multiphysics® and is accessible from the COMSOL Desktop® environment. However, once you have created an application with the Application Builder, you can also compile that MPH-file from the command line, which is helpful for Linux® and macOS users. The image analysis application, with custom icon and splash screen, shown as an executable file after clicking the Compile button in the Executable Settings window. COMSOL Compiler™ is available as a named single-user license, CPU-locked license, or floating network license, as an add-on to a COMSOL Multiphysics® license of the same type. Compiled applications do not support the batch processing or cluster computing options of a regular COMSOL Multiphysics® floating network license. Note that with the COMSOL Compiler™ License, you can compile as many applications as you would like and distribute the resulting standalone application to as many people as you would like. Setup of an input argument for the target frequency. Setup of an input argument for the target frequency. Linux is a registered trademark of Linus Torvalds in the U.S. and other countries. macOS is a trademark of Apple Inc., in the U.S. and other countries. Microsoft and Windows are either registered trademarks or trademarks of Microsoft Corporation in the United States and/or other countries.